Shihan Miller is a teacher of various martial arts, but before becoming a teacher, he was an avid student and practitioner. He began his prodigious training at the tender age of 5 in the ancient art of Kung Fu and American Boxing. After graduation from high school and two years of college he decided to join the US Navy, later he was stationed in Japan where he was first introduced to Aikido. In Aikido he trained under Sensei Takeshi Iida founder of Doumukai Aikidou, Yokosuka Japan. He also trained in Arniskido a unique fighting style developed by Master Mar De Leon. Arniskido is a style of martial art that incorporates Philippine Arnis and Aikido. In Kung Fu and Karate he trained in Kajukenbo (Gaylord Methods) under Grand Master Tino Paz. After retiring from the Navy he migrated to Meridian, Idaho where he founded the Aikido-Arniskido Self-Defense Learning Center. 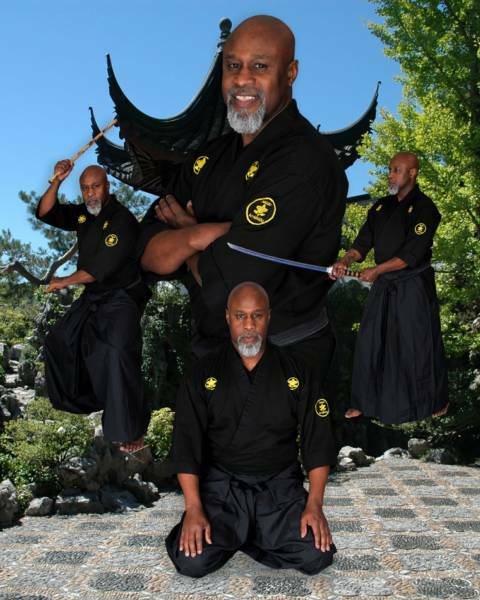 To propagate his love for the martial arts, Shihan Miller makes himself available for exhibitions and seminars in the surrounding community. His notoriety in martial arts and life style has inspired many others to follow in his footsteps. On this day of September 26th, 2008 a mile stone was achieved that came from the love and dedication and the desire to inspire others in the art of Aikido-Arniskido, as the founder of Aikido-Arniskido on this day promoted to Shihan..
Shihan Miller has a great deal of gratitude to all his students for their support and dedication to the art of Aikido-Arniskido!